He introduces himself as a writer, director, producer, a qualified stuntman, a puppeteer and an actor…wow, that’s a whole lot this guy’s got going on at just 23 years old, if I do say so myself! He’s the entrepreneur behind Vulture Productions – a theatre company that’s produced some praised theatre shows over the last two years; including at the Artscape and at the Theatre in the District, in District Six. 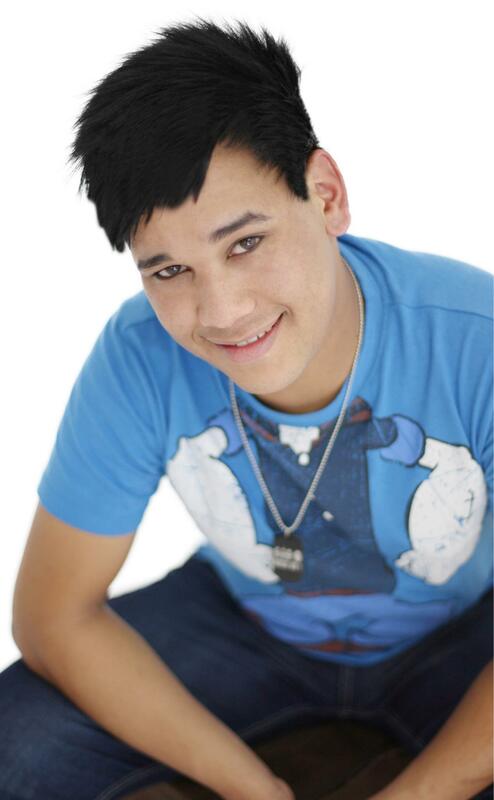 He received his acting diploma from City Varsity as well as a scholarship to study stunt work at the Dimensional Stunt School here in Cape Town (check it out here: http://www.stuntschool.co.za/). At 23, he’s fresh on the scene. I’m intrigued already as I make my way to Bo-Kaap where we’re set to meet, at none other than what seems to be a puppet warehouse.…Yip. You heard me. 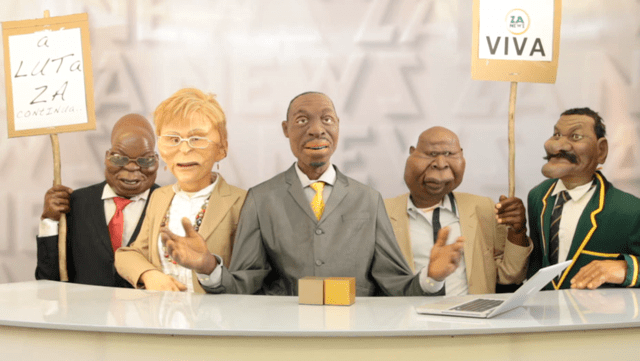 A company’s head office that specializes in creating these remarkable puppets as part of a TV show called called ‘ZA News’. It’s a humourous concept for a web-based TV show that French director, Thierry Cassuto, has come up with alongside famous South African cartoonist Zaprio (we all know him, right?). 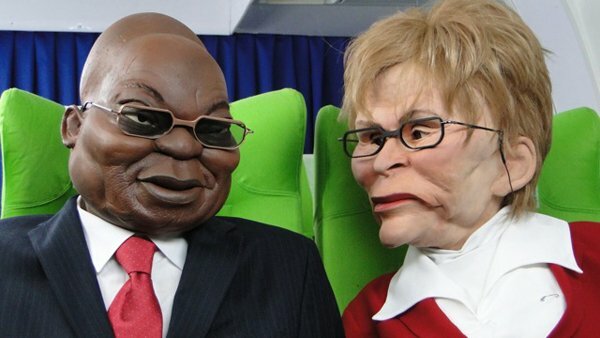 ZA News is a satirical news show featuring spoof news snippets acted out by life-sized rubber puppets, all mimicking some of the most well-known people of our time. These include politicians, singers, actors and celebrities – locally and abroad. Along with their voice artists, you may not even be able to tell the difference! It’s become so popular that for Season 4, it will also be on TopOne on TopTV at 9pm on Sundays. Jeremeo works here as a puppeteer, along with a team who handle these puppets in the comedic segments. 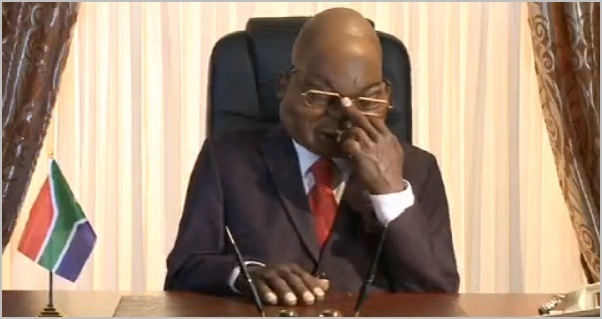 Walking into the meeting I stumble through crates and boxes of puppet heads….making my way over to Jeremeo across the room, I trip over Lady Gaga and end up reaching for Helen Zille before holding Julius Malema in my other hand! While I settle down and get out my notepad, I’m ready to begin what promises to be a very interesting interview. Jeremeo: I grew up in Wellington. Tamika: And what did you do after school? 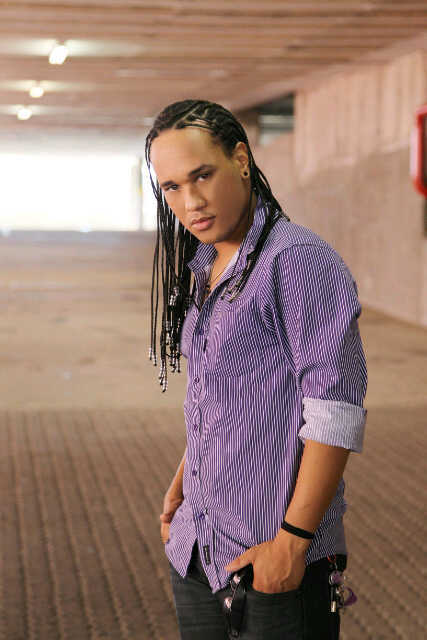 Jeremeo: I went to City Varsity for three years and did a ‘Professional Acting for Camera’ Diploma and Advanced Diploma. After that I received a scholarship to study stunt work for 5 months. We learnt basic fight choreography and soon advanced to ‘falling’ – it was cool! These days they like to refer to “stuntmen” and “stunt performers” so I guess you could call me that, hehe! Tamika: Where did Vulture Productions originate? Tell us more about it. Jeremeo: I started Vulture Productions last year, here in Cape Town. Through it I write, direct and produce my own plays. Since it was founded I’ve put on five productions already! I fund them all myself. I’m so passionate about it; this year alone I’ve put on three shows. Most recently it was ‘IKHYSLSM’ – which stands for ‘I Know How You Screamed Last Scary Movie’. Needless to say this was a lot of fun! It was at Theatre in the District and one of our sponsors was Lindt chocolate. 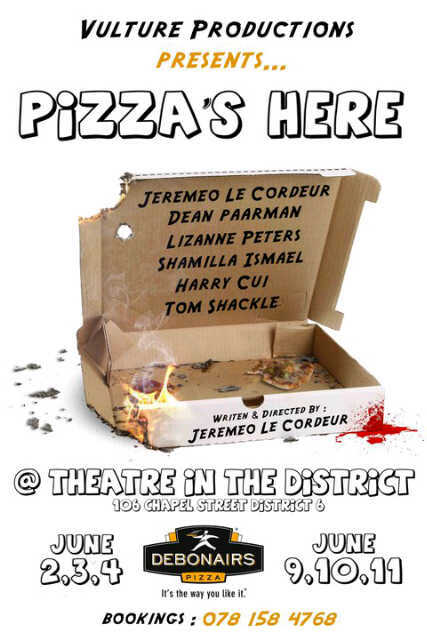 Jeremeo: … We also put on ‘Pizza’s Here’ at Theatre in the District earlier this year which was very successful. I’m soon starting a series of fundraiser shows, in an effort to raise money so I can put on a play at the Grahamstown National Arts Festival next year. Tamika: How do you fund your shows? Jeremeo: Well I always think of ways to gather the money I need! For my first ever show though, when I was 21, my parents gave me the money to make it happen. 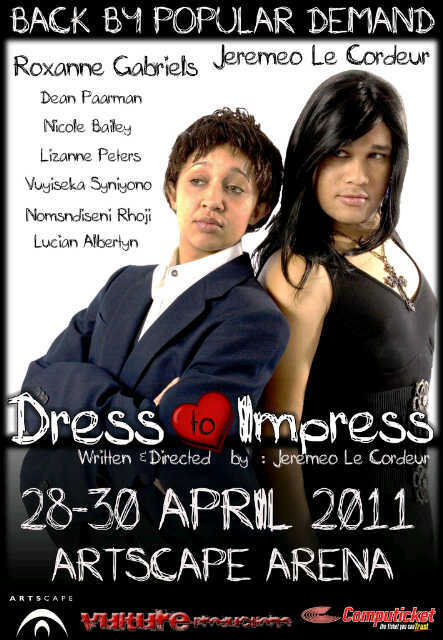 It was called ‘Dress To Impress’ and it showed at UCT’s Hiddingh Campus in their Intimate Theatre. It did so well I did it again this year! Tamika: Tell us about your acting work? Aside from your plays, have you been involved in any films or television? Jeremeo: Well to be honest I do more theatre work than film or TV. My passion at the moment lies in the theatre. I was actually interviewed on the Expresso show on SABC 3 earlier this year for my play ‘Dress To Impress’ that was on at the Artscape from the 28th-30th April. I do have an acting agent and I’ve done a few things for TV. For instance, I had a small role in MNET’S League of Glory series last year as well as South Africa’s first ever zombie movie, Zombie One, where I played a Zombie nerd this year! Tamika: Where do you stay? Jeremeo: I stay with my sister in Belville. Tamika: How long are you planning on staying in South Africa? Do you have plans to move to another country? Jeremeo: Who knows what the future will hold! I’ll see how it goes here… I would very much like to travel. Jeremeo: Well in between my work for ZA News and going to castings and auditions, I’m writing my new series of plays to raise funds for the Grahamstown Festival next year. The show I want to put on there, if I get the funding I need, will be entirely different from anything I’ve put on so far… So that’s a lot of writing and planning for me – season’s certainly going to be busy! Jeremeo: Ha! I’m an introvert! (I, Tamika, am shocked at this statement – I beg to differ) …. I’d rather be at home watching series and writing. Jeremeo: It’s empty! It was broken into last week! Jeremeo: Yes. Two older sisters and a brother. Jeremeo: My mother is a home-maker and my dad is the head of security at Chevron South Africa for G4S. Jeremeo: I enjoy gymnastics! I did it in high school. It helps me when it comes to stunt work. 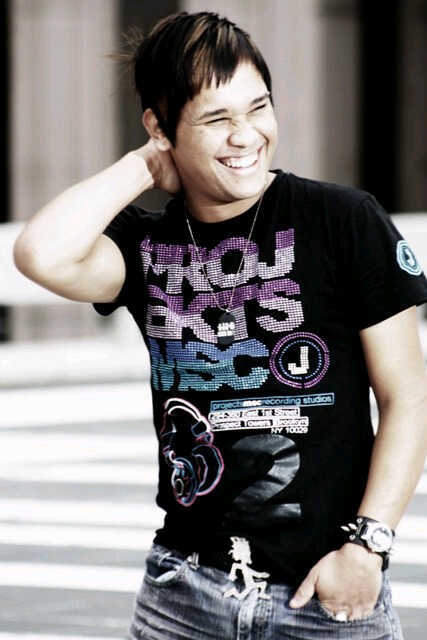 Jeremeo: Bigger than David Kramer, hehe! Tamika: What would you say is one interesting thing about you that your followers don’t know? Jeremeo: I want to be in Glee! It’s my best series ever! I’d like to just go over to the U.S and audition for it! Jeremeo: Eastern Food Bazaar, hands down. Tamika: What do you say to yourself when you walk out of an audition?